The Skowhegan Council is for avid supporters of contemporary art and education who have a desire to support Skowhegan. THE SKOWHEGAN COUNCIL IS FOR AVID SUPPORTERS OF CONTEMPORARY ART AND EDUCATION. The Council offers engaging initiatives and programs featuring the work of Skowhegan’s broad circle of alumni and faculty artists— including those who are just emerging onto the art scene, as well as those with established practices. Through a series of curated happenings, Council members enjoy access to exceptional artists and their work through studio, collection and gallery visits, plus special invitations to programs held at Skowhegan’s space on West 22nd Street. A special privilege is an invitation to Skowhegan’s annual Trustees & Governors Weekend on campus in Maine. There, Council members will have a chance to meet an exceptional group of emerging and mid-career artists and see Skowhegan in action—a rare opportunity given the private nature of the program. Events will take place primarily in New York City, and we are pleased to also offer Council members access to art fairs worldwide, as well as a selection of art-based trips, both day and overnight. Since 1946, Skowhegan has been recognized as one of the most transformative programs for emerging visual artists, and the program has played an instrumental role in the development of some of the most influential artists working today. A complete listing of the almost 5,000 alumni and faculty who have experienced a Skowhegan summer can be found here. Please join as our partner to ensure Skowhegan’s longevity, and participate in the wide variety of activities held throughout the year. Council dues provide integral support for each of the 65 exceptional emerging artists who attend Skowhegan each year. For more information, please contact Cerrie Bamford at cbamford@skowheganart.org or 646.681.6423. 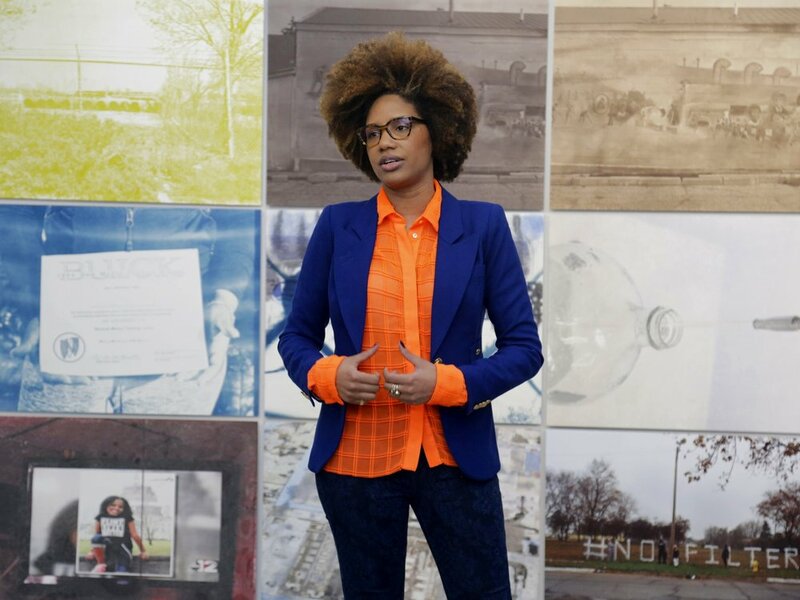 LaToya Ruby Frazier (A ’07 , F ’15) presenting her work at Gavin Brown’s Enterprise, 2018. Opening of Personals, organized by the Skowhegan Alliance, 2017. Alina Perez (A ’17) with Skowhegan Council Co-Chair Bernard I. Lumpkin during Open Studios at Trustee & Governor’s Weekend, 2017.